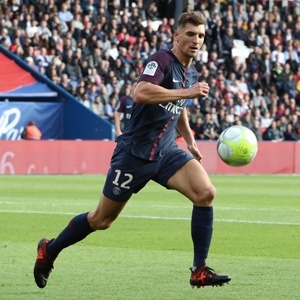 Cape Town - Paris Saint-Germain full-back Thomas Meunier admits he has become frustrated with his limited game time, as he battles it out with Dani Alves. The Belgium international has started four Ligue 1 games this campaign, the same number as Alves, but has not played in a Champions League game, while the Brazilian started against Celtic and Bayern Munich. When asked if he was frustrated with the situation, Meunier told L'Equipe: "Yes, because I want to play every match, whether it's against Gueugnon, Niort or Bayern Munich. "I want to be on the pitch every time. I am in a team which is one of the top five in the world where the back-ups and the starters are about the same level. "I will do everything to complicate the choices of the coach. I do what I can and I usually play good matches, which is important for the technical staff because they know they can count on me, but they already knew that last season." Meunier signed for the Parisians at the start of last season and went on to make 22 league appearances while competing for a starting berth with Serge Aurier, who has joined Tottenham.